Yellowstone in the winter is truly magical. Silence and solitude take over and the undisturbed blanket of white is breathtaking. Snow covered bison, steamy geysers and icy rivers add to the beauty of the landscape. 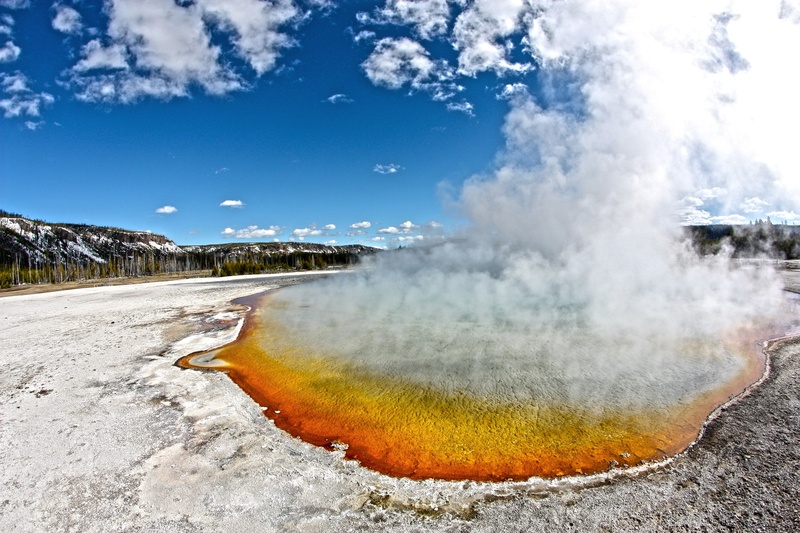 Visiting attractions like Old Faithful, and the Grand Canyon of the Yellowstone become a whole different experience with the absence of crowds. Make your reservations early, plan your activities and get ready for one of the most unique vacations you may ever take! Stock up on some insider tips for enjoying Yellowstone National Park in the winter below. There are two hotels open within the park, Old Faithful Snow Lodge and Mammoth Hot Springs Hotel. Both give you the feeling of being completely remote, with the added luxury of good food and a comfortable bed. West Yellowstone, Gardiner and Cooke City are all gateway towns which are great places to stay if you’re looking for some nightlife and retail therapy. Most roads in the park close for the winter, with the exception of the road between Gardiner and Cooke City, which runs through the Lamar Valley. This is a spectacular drive and the home of many of the park’s wolves. An overnight stay in Cooke City takes you literally the end of the winter road. If you enter via West Yellowstone, guided snowmobile and snowcoach tours are the only means of transportation, but are well worth it. Speaking of guided tours, there are companies both inside and outside the park bringing an extra level of knowledge to your visit. Snowmobiles have come a long way— you’ll be surprised at their warmth and quietness. Snowcoaches are enclosed off road vehicles so your whole group can learn about the park together. Snowshoe, nordic skiing and wildlife tours are also available. For experienced riders, you can submit an application for non-guided snowmobile entrance. Up to four non-commercially guided groups are allowed each day, one at each oversnow entrance. Permits are awarded through a lottery; full information can be found here. Snowshoes and cross country skis are an easy way to get out in the fresh air and is recreation suited for any level of experience. You’ll get an intimate view of the park, and some exercise to boot! Shuttles are available if you’re interested in doing a longer trail. Elk and bison migrate in the winter, so you’re almost guaranteed to see them. Wolves are easier to spot during the winter, with their dark coats set against the snowy background. (You’ll need to get up early or stay late if you want to spot these elusive animals.) For a real treat, try a Winter Photo Safari! A lesser known park experience are field seminars with topics ranging from Wolf Management, Yellowstone Conservation and Wilderness First Response, just to name a few. Be prepared, it can get cold, really cold. Highs can reach only 30 degrees and overnight lows can get to -30 degrees. But its well worth it. Bring layers; a windproof outer layer and a base of wool or synthetic long underwear. Cotton is not recommended, it doesn’t wick moisture, which can leave you cold. Fleece and wool sweaters are good for a mid-layer, and be sure you have thick socks, boots, hats and gloves or mittens. Bring extra food and water, your body needs energy to stay warm and it’s easy not to notice if you become dehydrated. The sun is intense in the winter so don’t forget sunscreen and sunglasses. Grab some hand and foot warmers and bring an adventurous spirit! 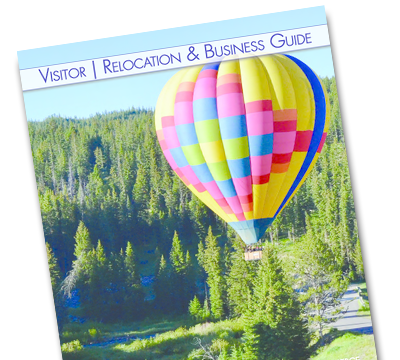 This blog offers a variety of content to help you plan your visit to Bozeman and the Yellowstone area. Get inspired to hit the slopes, cast your fly rod, or just take a stroll down Main Street. There are a lot of reasons to love Bozeman, and we want to share them all with you.